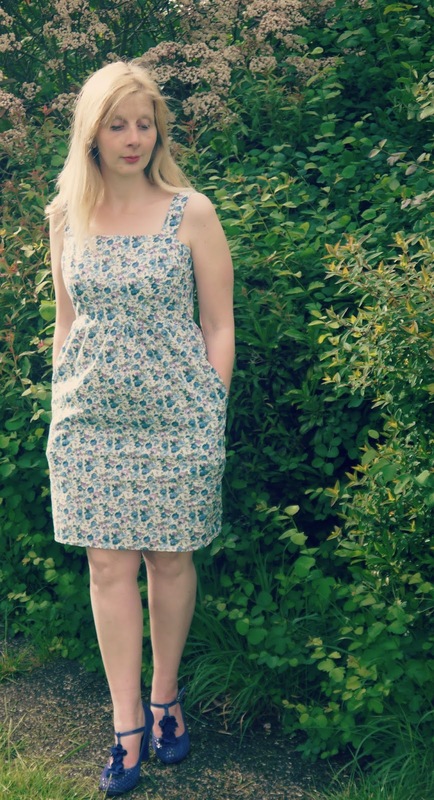 If I'm to have a wonderfully wearable handmade wardrobe I needed to start sewing again. I set about thinking how to do this and came up with an idea. Since I started sewing I have only bought two tops so I tend to wear the same things all the time. Taking on board ideas from Colettes Wardrobe Architect I came up with the following list. 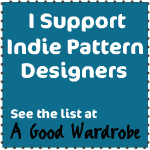 I also decided that I could double this list if I made a woven and a knit of each. Starting with the wovens. So that means I already have 10 projects to make. I would also like to make some PJ's, a coat and some trousers, but these will have to wait for now. I plan on using up my stash of fabric first if possible and any patterns that I have already. This part is more difficult as I love seeing new patterns and especially as Tilly and the Buttons book Love at First Stitch has come out this week. First pattern was for a sleeveless dress - I had bought Colettes Hazel last year but had not made a successfully finished one. I had some beautiful blue floral cotton lawn last August and decided that this would be put to good use on this pattern. I chose not to do a FBA on this as LLadybird suggested it wasn't necessary. I cut a 2 bust graded to a 6 at the waist and hips. This is the best fit I have ever had on a strappy dress. I also love how they cover over the bra perfectly. I was not able to put the invisible zipper in as neatly as I would like and I'm not sure I really understood this part of the instructions. I love a dress with pockets and cannot wait for the sun to come out so I can wear it. Although the floral print looks good I would love to make another where the bodice is a contrasting colour as this looks really dramatic. I will be making another Hazel in the future but next time I think a solid colour or chambray version. 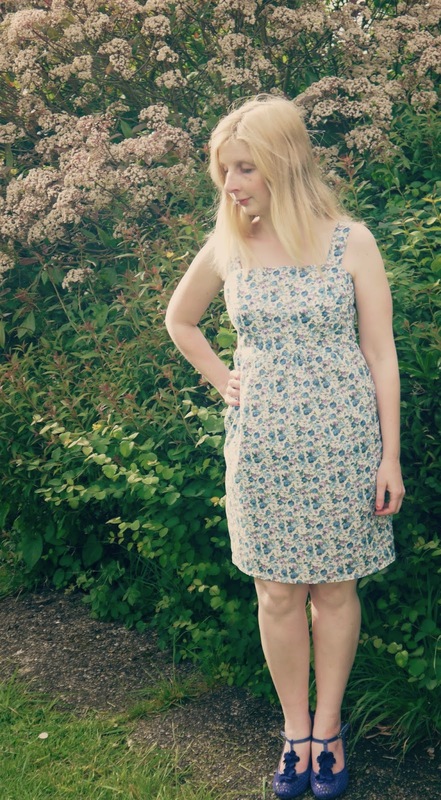 This is the outfit I wore for the first week of Me Made May 2014- I am trying to wear one handmade item each week. 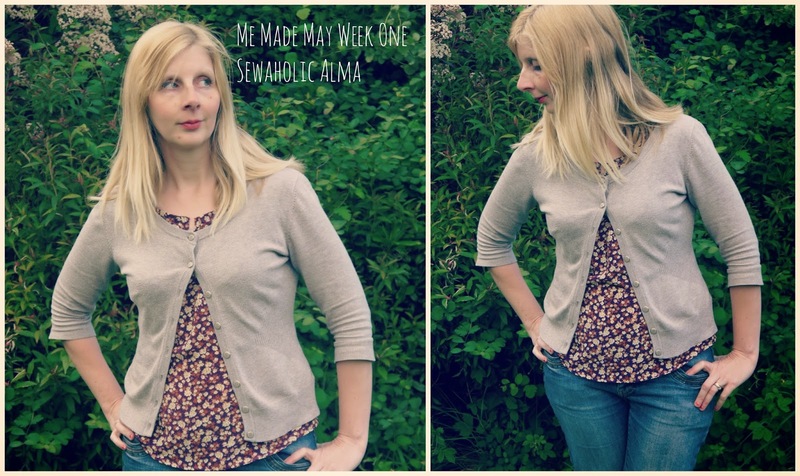 Week one Sewaholic Alma - Really pleased I wore this as I got compliments about it. Much better to wear it than have it lurking unloved at the back of the cupboard. I had hoped that the rain would stop to allow for the photos get done will add them asap. I have also updated the about me and contact me sections of this blog. Victoria Blazer. By Hand London. My week in Sewing. Wow what a busy week.